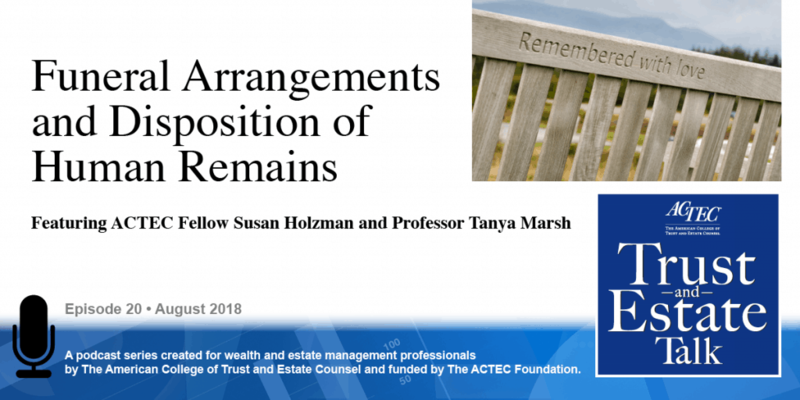 “Funeral Arrangements and Disposition of Human Remains.” That’s the subject of today’s ACTEC Trust and Estate Talk. I’m Jeff Jones, and this is Mark Christopher from Ellsworth, Maine and Boston, Massachusetts, respectively. Legal and practical challenges are evolving with the respect to funeral arrangements and disposition of human remains. Those issues permeate estate planning and administration, and sometimes result in litigation that might have been avoided with proper planning. 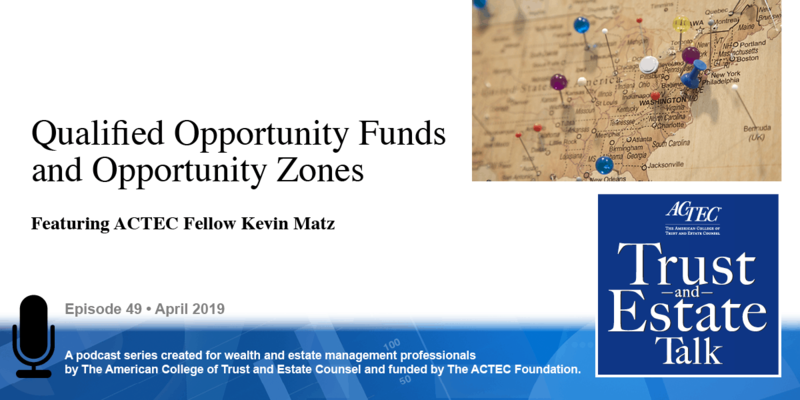 To learn more about this topic, you will be hearing today from ACTEC Fellow Susan Holzman of Roseland, New Jersey and Professor Tanya Marsh of Wake Forest University School of Law, Winston-Salem, North Carolina. Welcome, Susan and Tanya. Thank you. In light of increasingly complicated family configurations and religious and philosophical differences of opinion, it is good practice to discuss a client’s wishes concerning the client’s funeral arrangements and the disposition of her remains, and to memorialize those choices in compliance with applicable law. Failure to do so can result in family discord, intense and emotionally charged disagreement, litigation, and significant, unexpected additional expenses. To properly advise your clients, you will need to understand the statutes and case law of the state of residence, as well as the issues that may arise if the client dies outside her state of residence. During the estate planning meeting, you should ask your client about her wishes. Does your client want a religious or a non-religious funeral or memorial service? Does she want to be buried above ground or in the ground? Has she purchased a cemetery plot or a crypt? Does she want to build her own mausoleum? Does she want to be cremated, with or without interment of the cremains in a crypt or in the ground? Prince Henrik of Denmark recently died, and he directed that his body be cremated, which departed from 459 years of royal tradition. He was angry because his wife, the Queen, refused to give him the title of King, and this request to be cremated was an act of defiance that made the headlines. If your client is cremated, does she want her ashes to be turned into a memorial diamond? There are companies that provide that service. Does your client want to be an organ donor or donate her body to a medical school? Perhaps she wants certain parts to be frozen. In some states, an individual can provide binding instructions. In other states those instructions can serve only as an expression of intent. But if your client doesn’t make her wishes known, the outcome may be quite unexpected. Who should control the arrangements? In many states, there is a statutory priority list of the individuals who have the rights to control the arrangements. That list usually starts with the spouse, then the children, followed by the parents, the siblings, and more distant relatives. 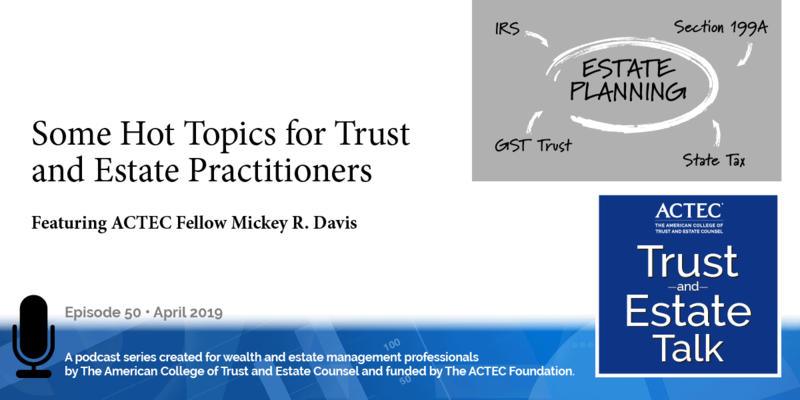 Alternatively, in almost every state, an individual may appoint a friend or a particular family member as the funeral agent to control the arrangements rather than relying on the statutory default designation of the individuals with that authority. It is especially important to designate a funeral agent if there’s a chance that the individuals who would otherwise have the right to control the arrangements will disagree with each other, or will not follow the decedent’s wishes. The formal requirements for making the designation vary from state to state. Your client should tell the person named as the funeral agent that the designation has been made and where the formal designation and other instructions can be found. It is important to periodically review and update her instructions, particularly when there has been a change in family relationships or a change of residence. For example, an individual will probably not want her estranged spouse or her disinherited child to retain the right to make the funeral arrangements, but there are actual cases where courts held that those individuals were not disqualified from making the arrangements, pursuant to the Right to Control statute. Designating a different funeral agent would have avoided that result. Making pre-need and prepaid arrangements may be beneficial by allowing the client to express her intensions and provide funding during life through the deposit of funds or the assignment of life insurance. Those arrangements are often revocable, so the client can retain flexibility to make changes later. One exception is for individuals who currently qualify for supplemental security income or Medicaid or expect to apply or qualify for those benefits within six months. In those cases, individuals are permitted to make prepaid funeral arrangements without the funds being considered resource for eligibility purposes if the cost of the funeral is reasonable and the prepaid account is irrevocable. There are public health and religious reasons why funeral homes need to act promptly to complete the arrangements and the disposition of human remains. Therefore, funeral homes are often protected if they rely on good faith on instructions from individuals who claim to have authority. However, there are cases where family members have recovered damages based on the wrongful infliction of emotional distress. Tanya, what happens if an individual dies in a place other than her state of residence? Well, Susan, that really depends on where the decedent was domiciled, where they happened to die, and how well they anticipated the conflict of laws issue in their funeral planning. So just a little bit of background on the laws that some you just mentioned. In the United States, we have a strong, long-standing tradition in the common law people to determine the place and manner of the disposition of their remains. This common law right dates to Roman times, and we inherited it from English common law. But in the 20th century, states began enacting laws that complicated and frustrated that common law right. So as a result, we have inconsistent state statutes that require decedents to comply with strict formalities or deny them their common law right entirely. 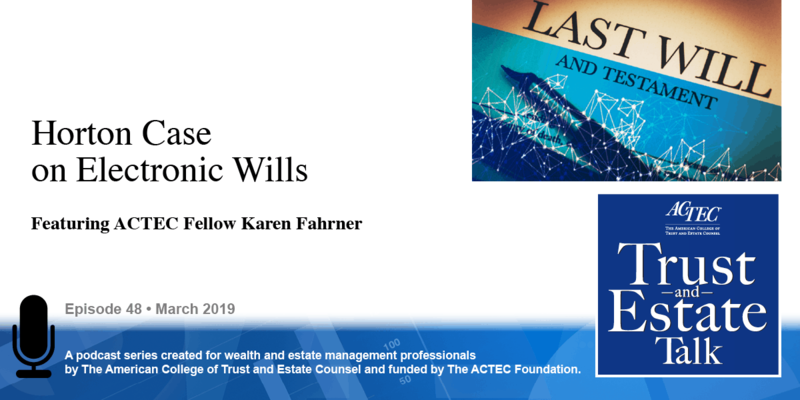 So, although under the common law, a will was a popular mechanism for decedents to express their final wishes, it does not appear that the conflict of law rules that govern probate also govern laws that determine who has custody of remains. In other words, it’s the law of the jurisdiction where a person dies that dictates who has control of their remains and the extent to which a decedent’s wishes will be honored, not the laws of their state of their domicile. So this leads to a conflict of laws problem that I think is really underappreciated. It can also complicate funeral planning and, as you mentioned, lead to litigation. So there’s two categories of laws that primarily concern me. The first, or what I refer to as personal preference statutes, and these provide a statutory mechanism for a decedent to express their wishes under certain circumstances. Forty-two states and the District of Columbia have personal preference statutes, but there’s really a significant variety among them, and that’s the source of the problem. In 20 states, a funded pre-need contract must be honored. In three states only a funded pre-need contract will be honored as an expression of a decedent’s wishes, this means that it is not possible to make choices other than those offered by funeral homes that offer pre-need contracts. 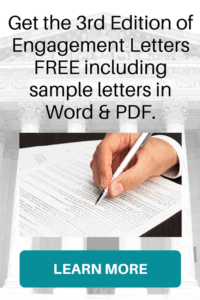 In nine states and the District of Columbia decedents can leave instructions in really any kind of signed writing, these are the most flexible group of states. Twelve states, on the other sort of end of the spectrum, will only respect the wishes of the decedent if they left instructions in a document that substantially complies with the statutory form and of course those 12 statutory forms are inconsistent with one another. Nine states require notarization, but not witness signatures; another nine states require one or two require witnesses but don’t recognize notarized signatures. The second category of statutes are the ones that you just referred to – those are the designated agent statutes. So, as you mentioned, the vast majority of states have statutes that determines who takes custody of remains and the rights to take position of remains and make decisions regarding them is called the Right of Sepulture. The top of the statutory priority list is usually the spouse, the parents, the children, and so on, but then designated agent statutes allow the decedent to name a person to take precedence over those named in the statutory priority list. Forty-eight states and the District of Columbia permit designated agents under some circumstances; only Mississippi and South Dakota currently deny decedents that right. But, of course, just like personal preference statutes, these vary widely. Seven states and the District of Columbia have flexible language that really permits any kind of signed writing to appoint an agent. Seven states require the agent be appointed only in a durable power of attorney. And 34 require a document that complies with certain formalities but they’re all over the place with the notarization and the witnesses and different types of documents. So, there was a case in Iowa a couple years ago where a woman named Mary Florence Whalen did all of her estate and funeral planning in New Mexico where she had been living for several years, but she died in her original home state of Iowa. And the Iowa Supreme Court didn’t directly address the issue of domicile because neither party raised it, unfortunately. But they did hold that Iowa law controlled, and because her planning documents didn’t strictly comply with Iowa law, her attempts to designate her sister as agent failed and her estranged husband was given custody of her remains. But, Susan, I don’t think we should read too much into the Whalen case outcome, because it was all about the very formalistic Iowa law. We do, however, need to recognize there is a significant gray area with respect to this conflict of laws issue. OK, Tanya, so while there is a lack of uniformity among the states, and there are no guarantees an individual’s wishes will be respected after she has died, the likelihood is greatly increased if instructions are provided and funeral agents are designated in a will, in another document that is notarized and signed in the presence of two witnesses, and in any other form expressly required by the law of the client’s residence. Thank you both for shedding light on this important topic.